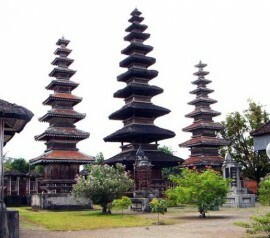 North lombok district is indeed has various attractive tourism objects which worth visited. 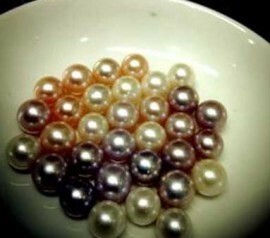 One of them is sire beach. In Sire beach, you can spend times with family, and if the weather is good, you could see Rinjani mount from different angle. Sire beach is included to be a favorite place to visit for domestic visitors to spend their holidays. 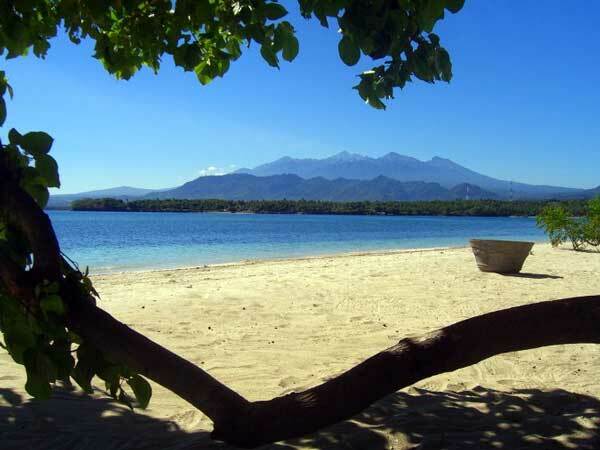 The beach which located in north west of Lombok island serves a beautiful view including the view of Rinjani mount which can be seen in the east side. This beach extends in 3,8 km with curving coast line. The sand is not completely white but it has soft texture. The waves are calm, makes it perfect to do water tourism. In this beach you can also do many interesting activities, such as canoeing, snorkeling, or swimming using used tire. If you don’t bring equipments to do those activities, you can rent it at rental place near the beach. In the afternoon, you can also fishing or seeing seagull chasing the waves. 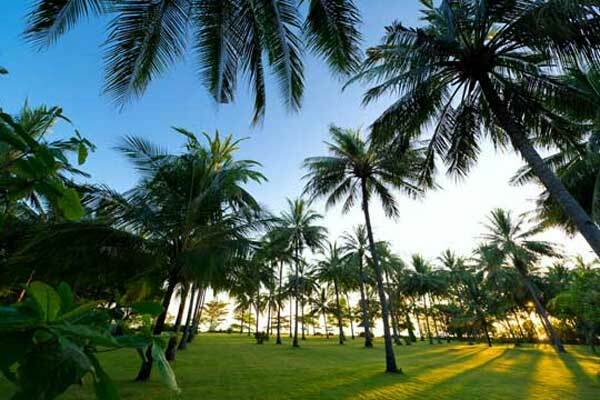 Around the beach there are palm trees line up orderly and the green grass which look like a green carpet. This condition makes Sire beach fit to be family recreation place. If you want to stay in, there are accommodations around it which have view direct to the beach. There you can spend the nights by listening soft sound of waves, and the morning, you can enjoy the sunrise. You can also do golfing here, since there is golf field nearby the beach. 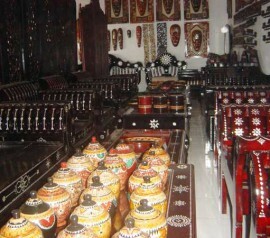 Beside as a recreation place, Sire is also a place to hold people’s entertainment events and traditional ceremony. On certain events, there is dangdut music (original music from Indonesia) show to entertain visitors and local people. 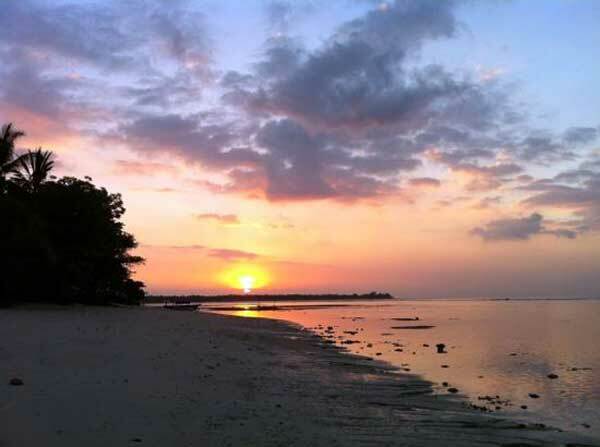 This beach also used as a place to do traditional ceremony of larungan ( traditional ceremony by floating various sacrifices and ritual offering to the sea) and sea party. This beach located around 43 km from Mataram city by western coast of Lombok island with route Mataram-Ampenan-Senggigi-Bukit Malimbu-Pemenang-Sire. To reach it, needs 1 hour trip by personal vehicle or motorbike. You can also get it by route Gunung Sari-Sidemen-Pusuk-Pemenang-Sire. You can also take public transportation with route Mataram-Ampenan then Ampenan-Tanjung. Another alternative by public transportation is with route Rembiga-Tanjung. Every route you passed, has its own beauty. 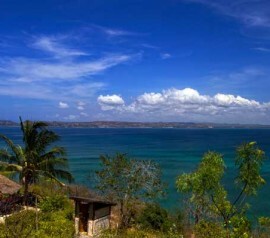 If you use route which passing Senggigi beach, you’ll be served with the beauty of west coastal view of Lombok island. While if you choose the second route, you will enjoy Pusuk tropical wood which has many monkeys wander in the street’s side. If you’re not in hurry, you could spend little time communicating with those primates by giving them banana. 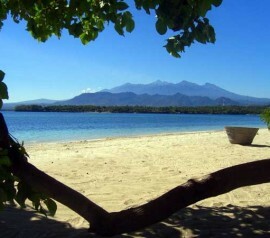 Also mentioned: sire beach lombok, sire beach, sire bay lombok island. Bring your life jacket if you want to play canoeing or renting a boat, because in the beach there isn’t any life jacket rental. Use your sun screen, sun glasses and hat to protect yourself from the sun. If you want to pass Gunung Sari-Sidemen-Pusuk route, prepare some bananas for the monkey in Pusuk area. Location: sire village, north Lombok district. Other Services: Rental price : canoe, IDR 15,000/hour; used tire IDR 5,000 as long as you want; snorkel IDR 5,000/hour; boat IDR 5,000/ person, as long as you want.